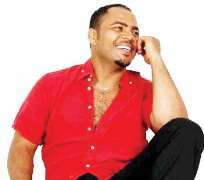 Whoever came up with the gist that Ramsey Nouah is having marital problems with his wife, Emelia, may have touched a very bad spot in the life of the actor, for it looks as if Nouah is not finding it funny at all. Of course, you remember it was alleged not too long ago, that the actor has left his matrimonial home at Surulere and is now staying in a hotel. When, http://nollywoodgists.com called the actor on the phone, he blew hot! "You guys have a habit of writing nonsense about somebody without caring to find out the truth. I don't care if you take an exception to that. But when one egg is rotten, it spoils the others. You guys keep on publishing nonsense every time." http://nollywoodgists.com reminded him that though nasty things are said about actors, it doesn't mean all actors are bad. "I don't care what you say. I am not interested. In fact, I don't want to talk about anything. "I have not granted an interview in a long while and I am not ready to do that now. You guys can go ahead and speculate whatever you want to. I don't care, you would still write whatever you want to. But I am not going to say anything about my private life, thank you." An obviously angry Nouah said.